Last week Management Circle`s CEO, Sigrid Bauschert and Ellen Comberg, Chairwoman of the Advisory Board successfully hosted a fully booked Global Female Leaders Business & Networking Lunch at the beautifully located Steigenberger Bellerive au Lac right at the riverbank of Lake Zurich. In a sophisticated yet relaxed atmosphere over 40 Swiss and international VIP guests enjoyed a delicious lunch while hearing about the scope and richness of next year`s summit agenda as well as the impressive set of high-level speakers for 2016. Following our content driven philosophy the highlight of this event was an insight presentation by Advisory Board member and former Ambassador of India to Switzerland, Ms. Chitra Narayanan. Her contribution on ‘Time to Look East – Opportunities in South East Asia’ was extremely well received and followed by numerous questions sparking a lively discussion about energy and sustainability issues in the region influenced by the current COP 21 conference in Paris to thoughts about a potential global key role of countries like Indonesia. The atmosphere was such that some guests stayed for networking and exchange of thoughts until well in the afternoon. 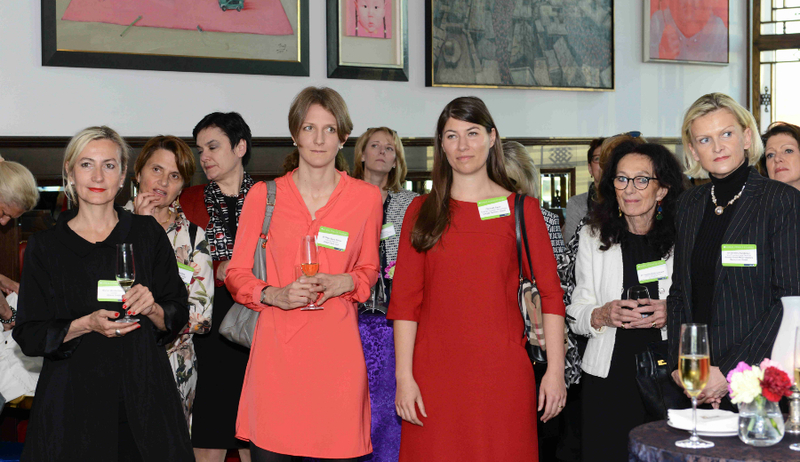 We look forward to continuing this lively and fruitful dialogue in Berlin next spring at the Global Female Leaders 2016!